For the next level, this is creating Facebook Campaign. 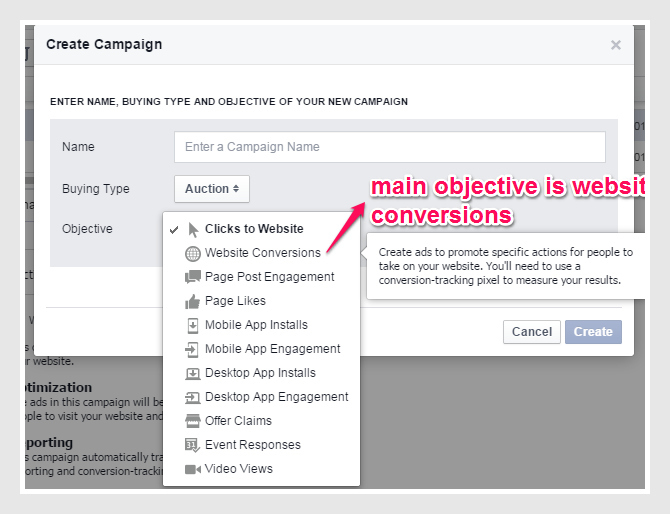 We are done with our Facebook ads so let us start to roll the drum! When will our ads start and end? For ads test especially for the first time, I suggest use 1 day or 24 hours. After all it is just a test to see if what you have done is correct. This is also to save your cost of ads testing. Who will see your ads? 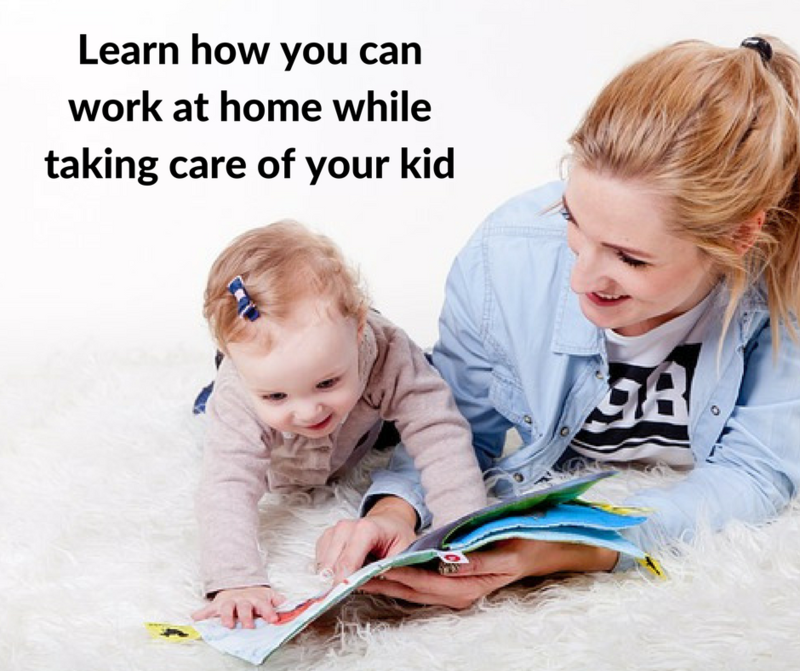 You consider your prospects or audience for your ads like this ads is for moms, single parents, what country, age bracket and etc. 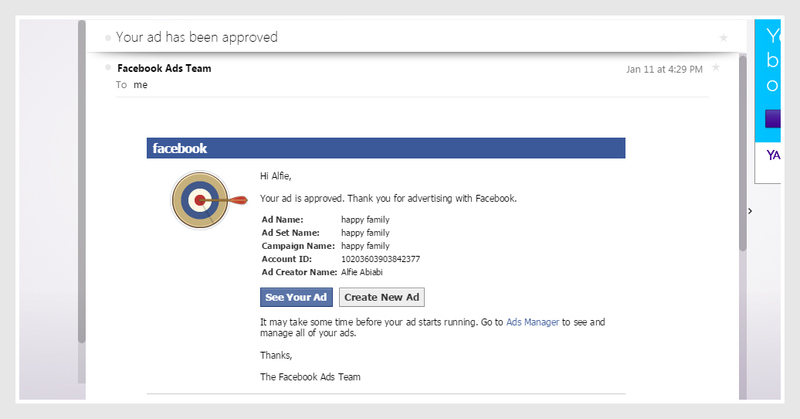 So I will share to you what I did to my Facebook campaign. You click “Campaigns” and “+”. 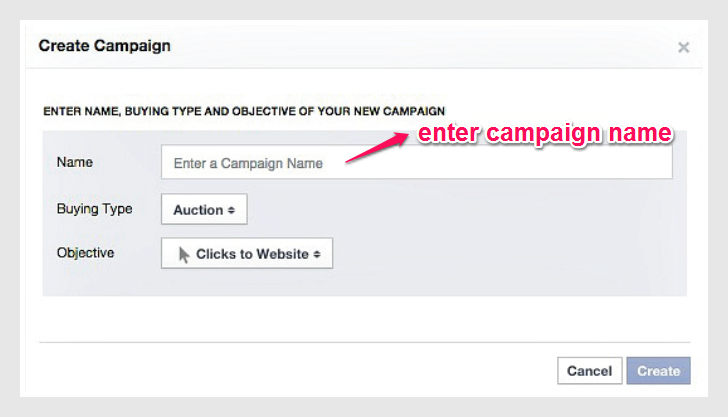 Your campaign name, ad sets and ads should have the same name for easy identification. 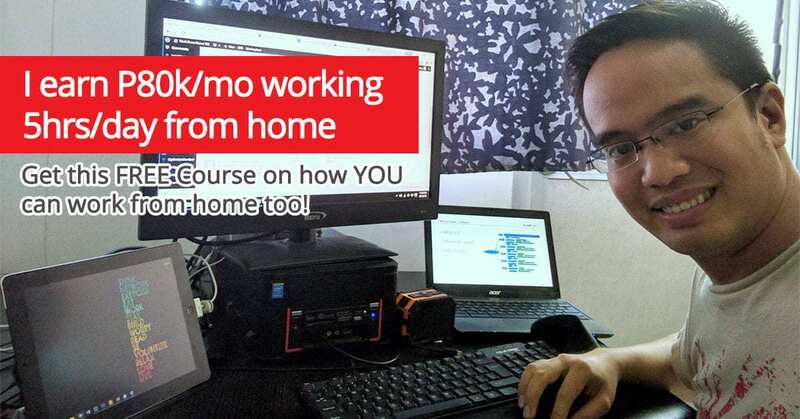 You can also include particular “persona” like for OFWs, moms, single parents, employees, etc. Then next is for Ad sets. This is where to set the budget, the schedule and the type of audience to engage in your ads. For the budget, consider for the start is $1.00 daily and set when to start and when to end the ads. For ads testing, I suggest using 1 day only since it is only for a test run. For audience you can select the preferred audience you want, the age bracket, etc. 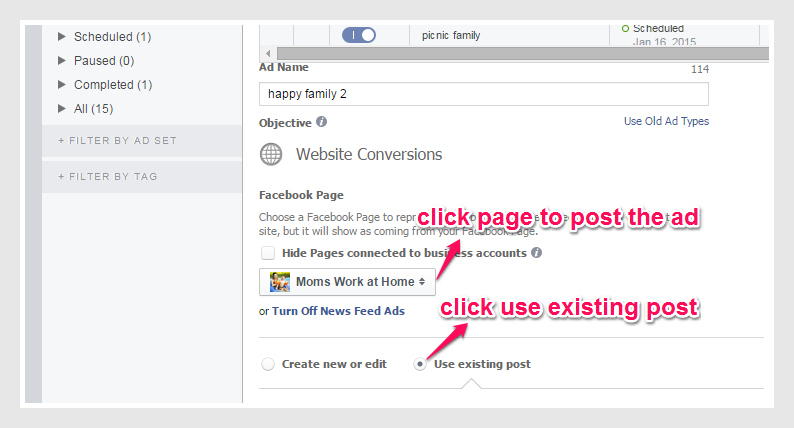 For placement of ads, choose Desktop and Mobile instead to better view your Facebook Ads. For the ads, click “Ads” and click “+” Then you will choose what page to post your ads and click “Existing Post.” This is the post I previously created. This code is very essential because this will track how many persons enter their email addresses or enter their sales interest. 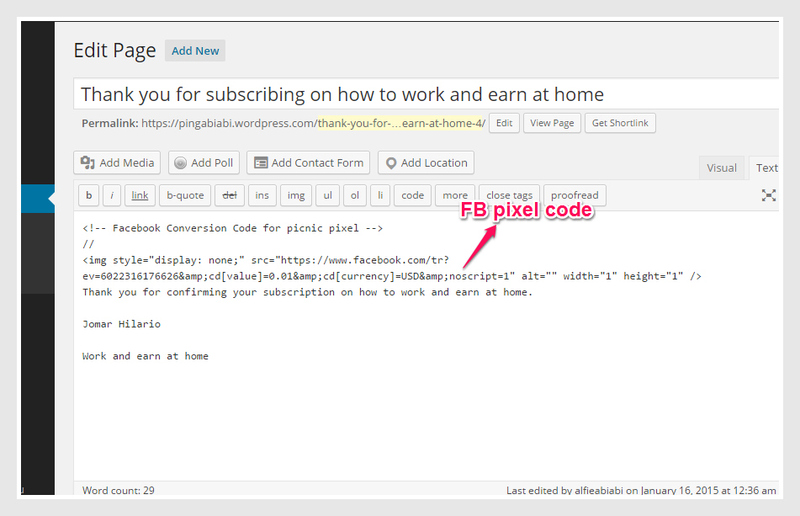 This conversion code track is also seen when your Facebook ads is finally approved by Facebook and is running wherein this will show how many click and send emails or make sales. 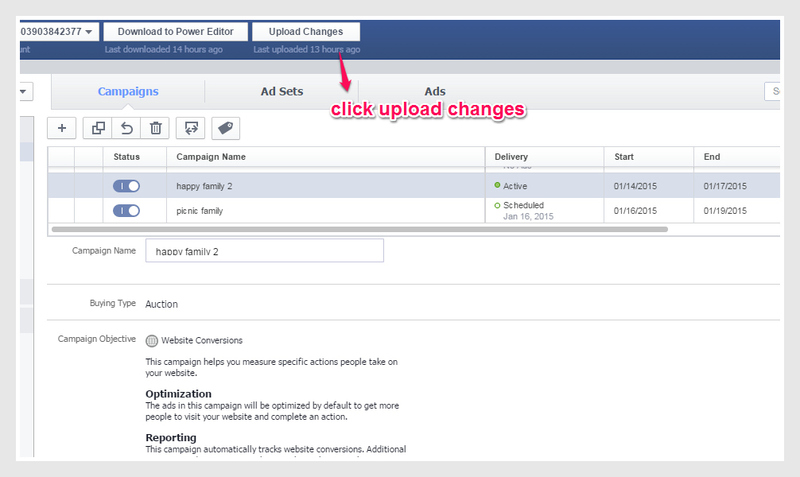 After completing this process, you need to click “Upload Changes” to save your work. Yes, at last I received it! It is approved! So the ads will be ready to run and be seen by audience! Yeheey! Good job!